We have in one point in time met someone that has been plagued by this disease or lost someone to this disease. However we are not fully aware of what it maybe, so today we will be looking at the Sickle Cell Disease. 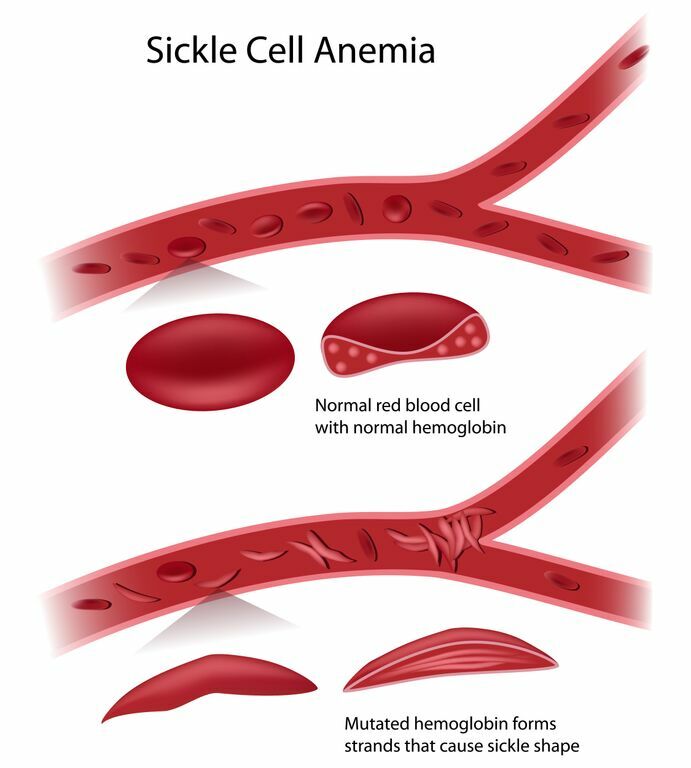 Sickle cell disease is a disease that affects the red blood cells, people with SCD have abnormal hermoglobin in their red blood cells, hermoglobin is a protein in the red blood cell that carries oxygen throughout the body, this disease is inherited i.e. passed on from genes from parents to their children, it is not contagious and cannot be passed down like a cold or infection from someone else. The image below shows the difference in normal blood cells and that of a Sickle cell. Hemoglobin is a protein found in red blood cells. It helps the blood to carry oxygen from the lungs to the rest of the body. The normal shape of the red blood cells are round, this enables them to move freely throughout the blood vessels, however people that are affected by the SCD usually have hermoglobin S which causes a sickle or moon crescent shape of the red blood cells. The shape of these hermoglobin S is restricted by it shape and results in blocked blood flow and subsequently the flow of oxygen to various parts of the body which can lead to a variety of complications. We may all wonder who is at risk with this disease, Africans, Indians? is this disease contagious or hereditary? Join on us Channels TV at 3:30 pm on DSTV (lagos) as we discuss the various symptoms, causes of Sickle Cell Disease and how it can be avoided. As well as we discuss various myths surrounding this disease. Visit our website for more information on SCD. This entry was posted in Uncategorized and tagged education, FITNESS, health education, healthcare, healthZone, red blood cells, sickle cell disease, wellness.